(This is my third post regarding my career as an Asian college basketball player. 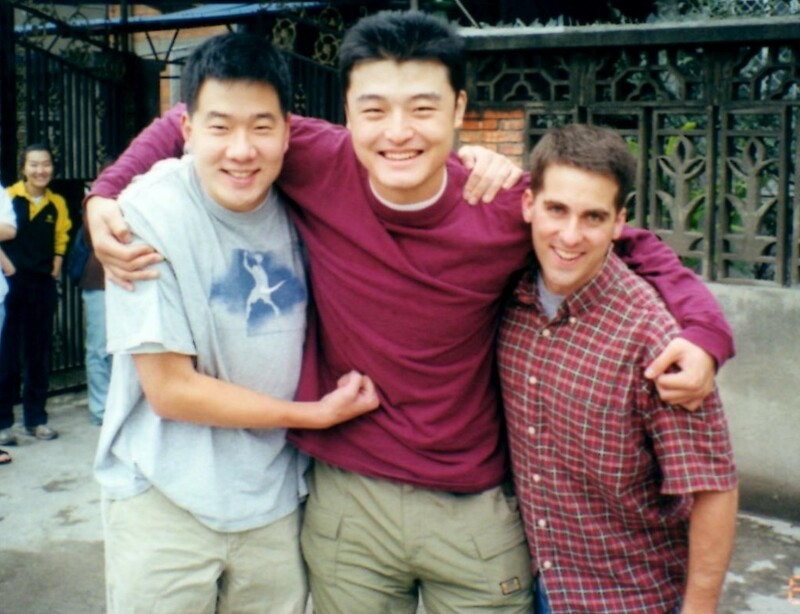 You might want to read “How I became an Asian college basketball player at age 28. . . ” and “Funny nuances and differences from my Asian college basketball team“) if you have not already. It was my fourth week in Asia and my third week as a member of the top ranked college basketball team in this country. I was in the midst of language study, but as you can imagine, I still knew and understood very little. Patrick Ku was back in the US for a few weeks on a recruiting trip. This already made basketball practice much more linguistically challenging. 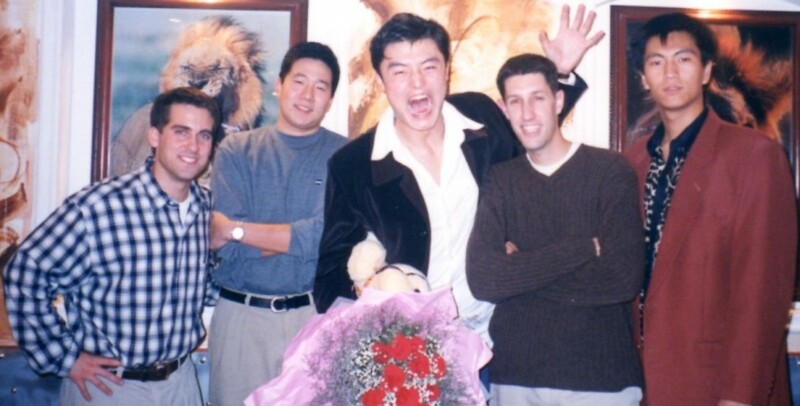 No one on the team spoke English and I spoke VERY LITTLE Chinese, so Patrick being gone was a big deal. I was constantly trying to figure out what was going on around me since I had no translation. During this particular practice, we were doing full court defense drills. One player would dribble the length of the court, while two others would try to box him in. It came my turn to be on defense. I was around half court. The guy I was guarding suddenly turned around during the drill running full-speed and his head slammed into my forehead. The impact was just above my right eyebrow. One of the disadvantages of being short is that when 6’7 guys are bent over dribbling, they are at about my head level. Not cool in this case. As you might guess, basketball is essentially the same wherever you go. The goal is still to outscore your opponent. The basic rules are the same. You dribble. You shoot. You play defense. However, there were some funny differences in the basketball here that were superficial, but shocking none the less. Definitely took some getting used to. This first one wasn’t a difference, but rather a shock to my system. I was absolutely dying every time we hit the court those first few weeks. It had been 10 years since I had been involved in competitive athletics. Since that time, I had studied much and worked out little. I had broken a few bones and had my second shoulder surgery. As I said in my first post, I had come to Asia to learn a language and, hopefully, make an impact for good. In my wildest imagination, I had never dreamed I would be on a nationally recognized basketball team. We were training like big time programs train. Wind sprints, drills, suicides. . . we were doing it all. I was in typical physical shape for a 28 year old professional from America. I was doughy. My thoughts were often, “I can’t believe I am 28 and still doing suicides!” If the opportunity weren’t so great to meet friends, I would have quite the first day. 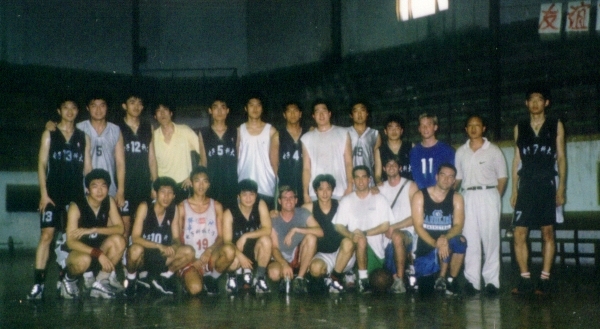 It ended up being the best thing imaginable for my health, as well as for my ability to engage in campus life in Asia, yet it was definitely a shock to my system to jump into training with a college basketball team! Since the college basketball season began this week, I thought it would be fun to write about one of my favorite things from my first year in Asia. This is HOW I BECAME AN ASIAN COLLEGE BASKETBALL STAR AT 28! Pat Ku (next to me), Drew Johnson (second to the right), and me with two of our basketball teammates during a “night on the town”. . .
My entire life, I had dreamed of athletic glory. I had hoped that, at a minimum, I would play college sports. I assumed it would be baseball. There was an outside shot at football; perhaps I had a chance at a strong school with a bad team. I never dreamed I would play college basketball. I didn’t even play at the high school level. The thought of playing with the national champions in Asia was beyond my wildest imagination. However, that is exactly what happened. This is how I backed into playing college basketball in Asia at the best program in the country. Upon arriving in Asia, the language program I was part of decided we would all participate in some kind of student activity. This would make finding friends and being a part of campus life much easier. On the first day of class, our language teacher found out that Patrick Ku (my roommate, friend, and fellow Georgia Tech alumni) and I enjoyed playing basketball. She told us to be ready at 4:30pm the next day. She would take us to play. I thought that we would just play on the outdoor courts with random students. We met our teacher at the main campus building. She walked us past the main outdoor courts. I was curious. She took us into the campus gymnasium. We quickly found out that she had set it up for us to try out for the varsity team of the university. (This post is part of a series I am doing called “First Impressions. . . my first few months in Asia“. If you would like to read about this series and other articles, please CLICK HERE. One of the many rag tag games of pick-up basketball I have played (not my finest haircut). 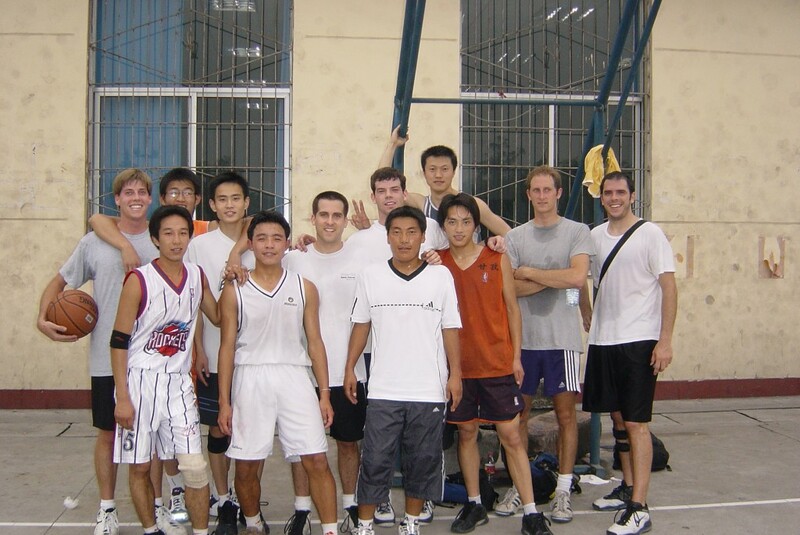 One of the things I most enjoyed about moving to Asia at first was basketball. We played it often and made a ton of friends doing it. Here are some of my initial thoughts from my first few months of playing pick-up Chinese basketball. There were five years between the time that I spent a summer in Asia while in college and when I moved over here. In that time period, the quality of play did rise and continues to each year. The society plays a ton, so they are showing more and more improvement even to this day. However, it was still very different than what I was accustomed to in the US. About the play, the speed is very high and often sloppy. They are all in incredible shape, so they can go at high speeds for hours without showing any effects. This is the toughest thing for me, as I am dying after 45 minutes of so. Their hand speed is great, but their foot work is terrible. They will steal the ball from you, then trip over it as they try to pick it up from the ground. Flying bodies and hands are the norm. Along these lines, very few fouls are called. You practically have to draw blood before a foul is called. Getting slapped going up for a shot and mugged over the back on rebounds is just part of the play. They are very aggressive and very physical, yet tempers almost never flair up.